The Samsung Galaxy range of smartphones is vast and expanding all the time but the company hasn’t forgot about its older handsets with regards to updates to the operating system, which is something rival HTC could learn from. 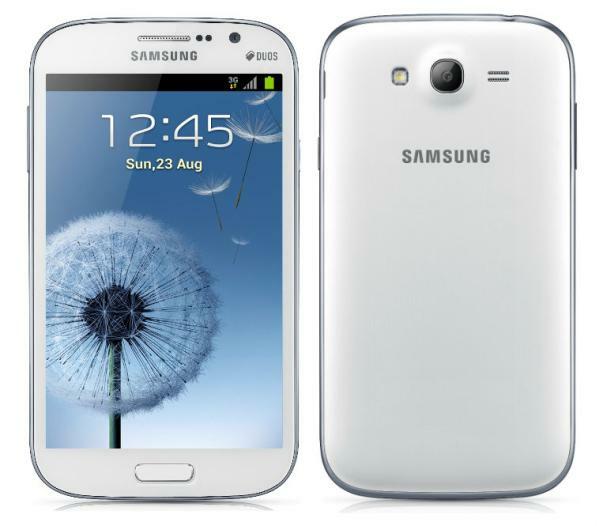 Now before any official release the Samsung Galaxy Grand DUOS Android 4.2.2 Jelly Bean update has appeared in a video. This latest Android update that has leaked out is for the Galaxy Grand DUOS GT-I9082, which is a handset that features a 5-inch touchscreen display with a resolution of 480 x 800, and is currently running the Android 4.1.2 Jelly Bean firmware. The upcoming update for the device will bring some new features such as the transparent notification bar, Day Dream, Smart Stay, Page Buddy, and much more. The handset is claimed to be much faster compared to when running the older software, and battery life is also claimed to have been improved as well. There are a number of older Samsung Galaxy handsets that are awaiting the new firmware and this latest leak comes after we saw Android 4.2.2 running on the Samsung Galaxy S3 last month, which features a number of improvements and was further indication that an official release was getting closer. The software is available to be flashed over to the Samsung Grand DUOS but we always advise owners of smartphones to only attempt this if you are confident in doing such things, and aware of the problems that may appear as the software could contain some minor bugs or have certain features missing. damn it!! no updates on camera and gallery!!! sad but true!! !